I’m not only a Homegrown Iowan, I’m also a native of Cedar Rapids, and in living on the west side of the city, Westdale Mall was a major point of pride for a teen growing up in the “mall” years. Once Westdale opened, we didn’t have to go all the way across town to Lindale or the shorter distance downtown, but had our own, trendy indoor shopping center on our side of Cedar Rapids. When Westdale opened in October 1979, it was the happening place to be. Nearly every storefront was filled and while parking was plentiful, you might have to walk a good distance once you found a spot. The positive glow of the mall was dimmed with the death of Michelle Martinko, a Kennedy High School student whose body was found in her family’s car in the mall’s parking lot after she went shopping on Dec. 19, 1979. A suspect in the stabbing death was finally arrested 39 years later, on Dec. 19, 2018. Based on DNA evidence, authorities arrested 64-year-old Jerry Lynn Burns at his business in Manchester, Iowa. 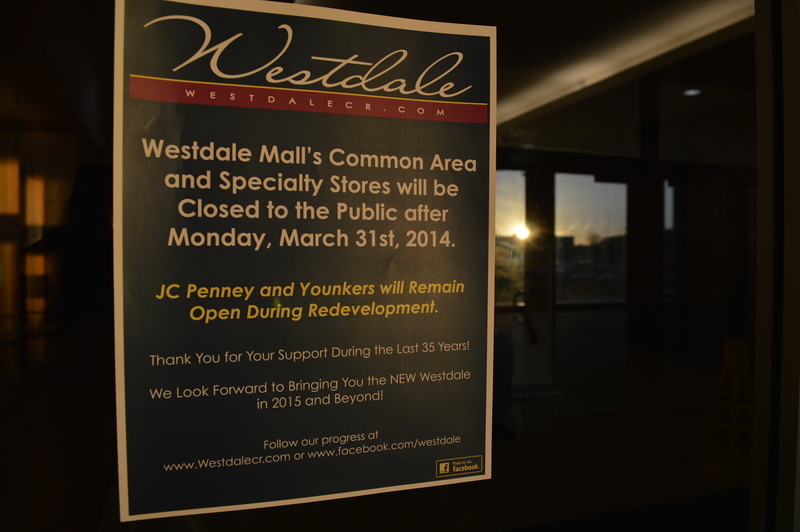 Westdale began a downhill slide that was exacerbated by the 1998 opening of Coral Ridge Mall in Coralville. Even with the influx of Linn County offices and temporary library after the floods in 2008, Westdale failed to recover and is soon entering its next phase. 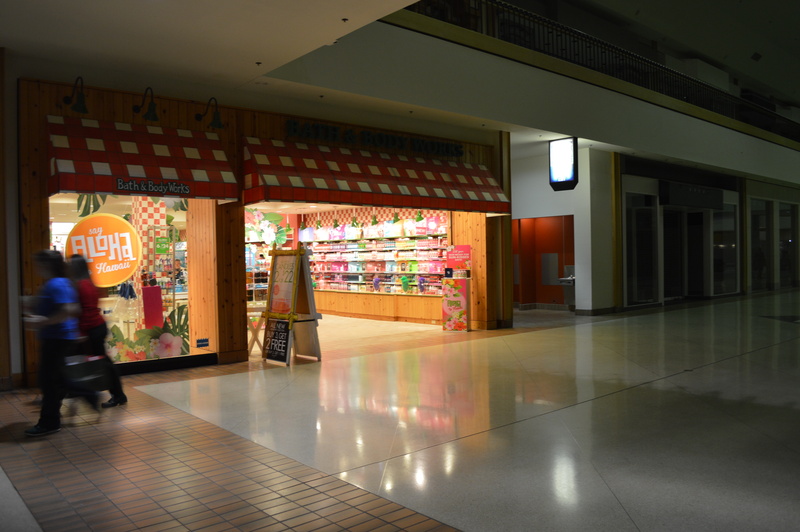 Now nearly the mall equivalent of a ghost town, most of the remaining stores are closing this weekend or on Monday, March 24, 2014. The common areas and the rest of the mall will be closed after March 31, with the exception of Younkers and JCPenney. 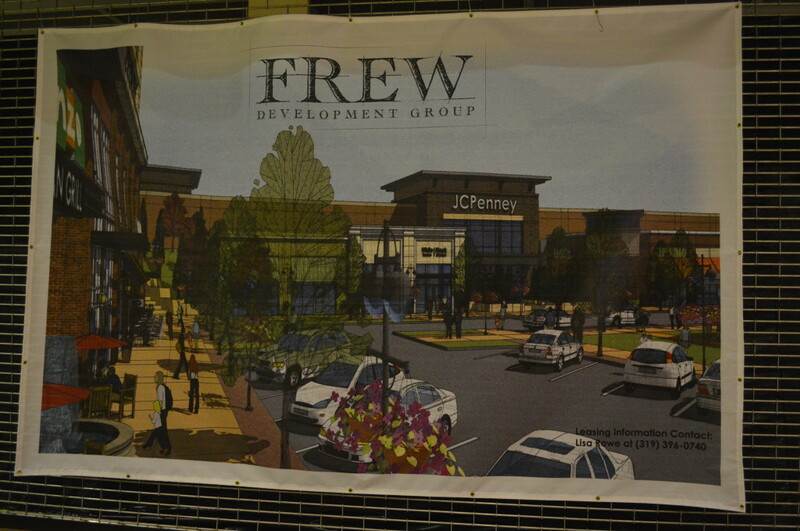 Those two anchor stores will remain open while the interior of the mall is demolished and Denver-based Frew Development Group begins transforming the area into a multi-use “lifestyle” destination, with housing, shopping and dining in the space, along with assisted senior living, a park and a hotel. I loved going to this mall when our kids where growing up. A very lively place, with lots going on. I feel sorry for the elderly mall walkers not having a place to walk now. But, time has run out and change is inevitable. I hope the developers can bring about a good change for this wonderful side of C.R. I agree. I grew up on the NW/SW side, and I loved coming here. I was only 7 or 8 when Montgomery Ward’s closed, but things were still pretty good. It really went downhill after the flood, and now it’s time for a change. I think this was built in 1979. The Michelle Martinko stabbing was the same year, I think around Christmas. Sad memory. Just a couple years younger than me. It was a scary thing. The doors to the mall opened in October 1979. I was amongst the first wave of employees. For all the years Westdale has been in decline/”ghost town” I, like the author, will only remember the vibrant, fun, place-to-be it was as a teen in the 80’s. I bet any CR native in their 40’s could walk you through Westdale & name most/all of the stores that occupied the spaces when it was thriving-much like revisiting your childhood neighborhood. 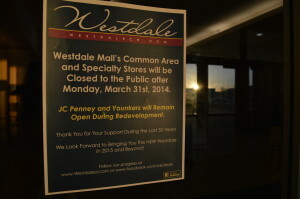 RIP Westdale. I can’t agree more. I’m kind of sad I looked at these pictures. I don’t want to remember it other than how it is in my previous teenage mind: electric with activity and the energy of the hundreds of teenagers (me included) who sauntered and giggled through its hallways. I have a million stories, key points of my life even, involving that mall and the experiences I had there. 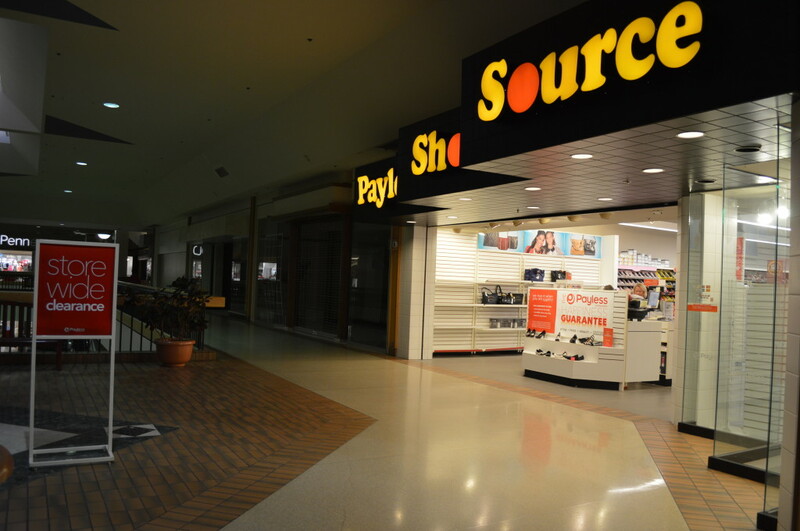 Am I really waxing nostalgic over a retail outlet? Yup. I am. People in the 40’s could walk around and name the stores that were in there lol the mall didn’t open until October 4 1979 it don’t make since why you say that lol. I am so very sad to this this happening. I just don’t know why CR would want a strip mall like they are planning. Westdale was perfect, but we can’t make it go? We have very cold winters here and a strip mall just doesn’t seem like a good idea. I grew up here and spent allot of my youth at Westdale. Very sad. I don’t want to go to Coralville or Lindale. Am I alone on this? No, Laura, I don’t think you’re the only one who feels that way, as many of the Facebook comments I’ve read are similar. When I visited for these photos I saw several mall-walkers and that’s another question, regarding where they will go. Thanks for your note. Good question, Adam. I don’t think I do, but maybe others who see this would. 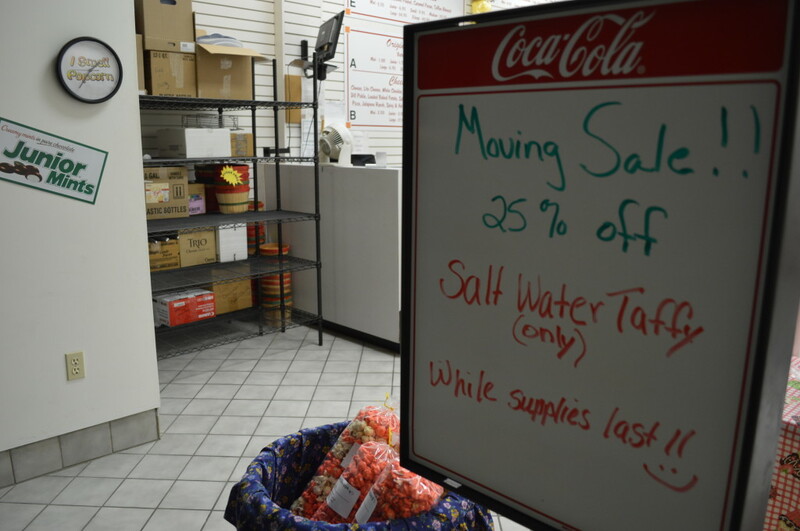 Any word on which stores are moving where, or which ones are just going to close? 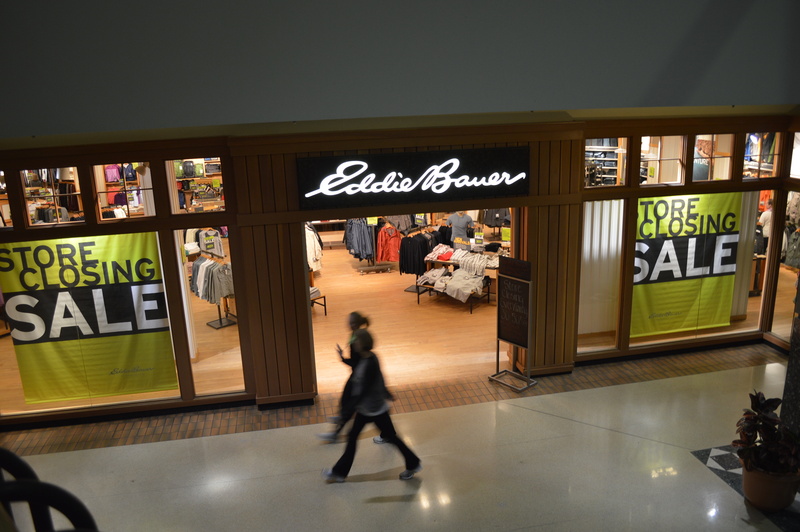 There’s not many left, but I’m told that Eddie Bauer will open a store at Lindale this fall and that Payless Shoes will have a new site, but not sure where that will be. 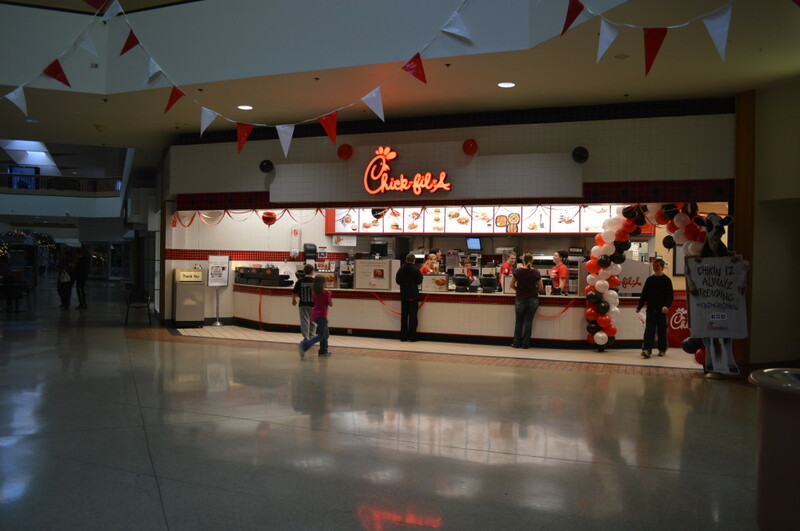 Chick-fil-A will open a free-standing store (similar to the one outside of Lindale) at the Westdale location on Edgewood Road SW, which will take at least a year to build. 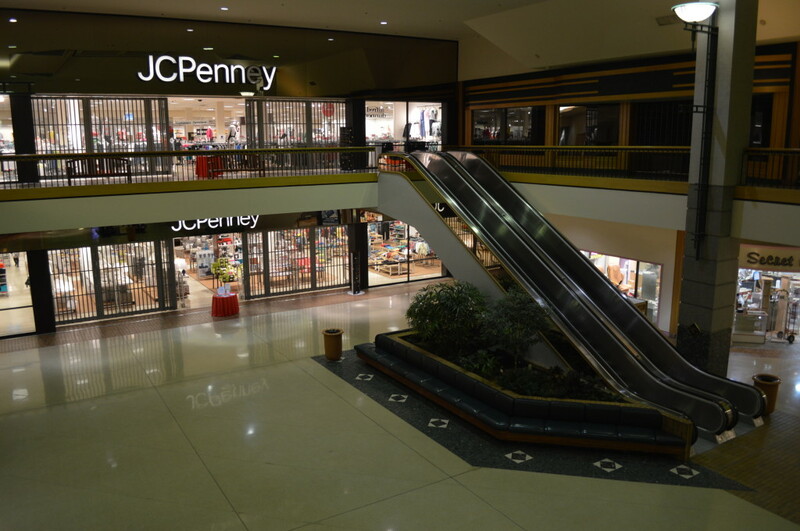 Of course, JCPenney and Younkers are staying open. Others have already moved, but I don’t have a full list of their new locations. 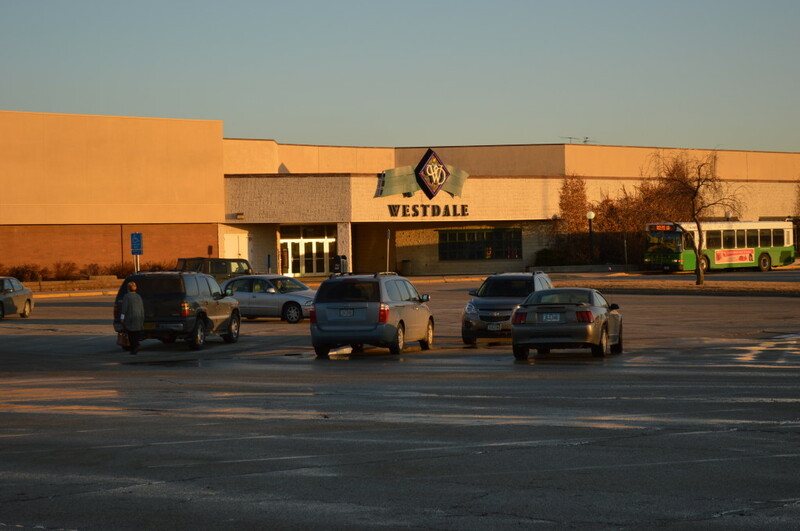 Westdale in the beginning with all it’s original stores was a wwwaaayyy better mall than Lindale. More stores, great places to eat including York Steakhouse. I don’t understand what happened. 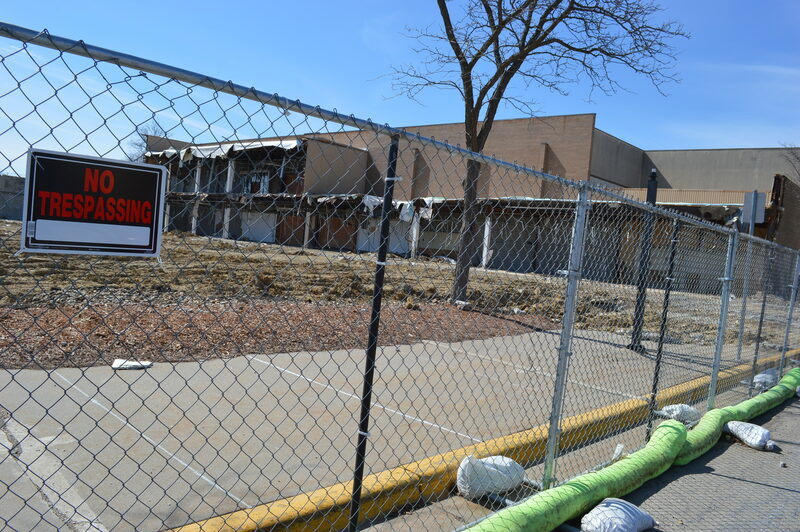 Why was a perfectly good mall let go to ruin? Lindale is going strong but the better mall became a ghost town. I don’t like the idea of another strip mall, no matter how fancy the architects make it look. Maybe it would work in the South where it stays warm all year but with 4-5 months of winter weather (at least that’s what it feels like to me! LOL) the strip mall will be deserted. 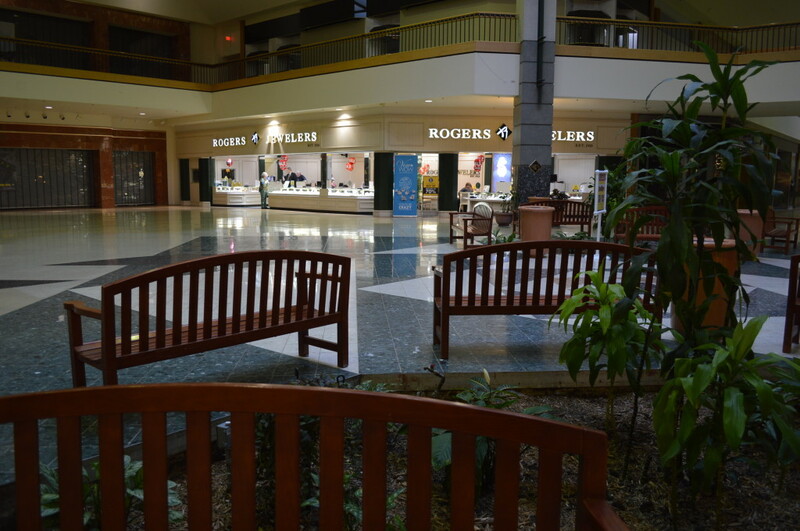 No one wants to shop out in the cold when they have the comfort of an indoor mall like Lindale or Coralridge. Just visited he “Westdale Mall” area. I would much prefer to have the “Mall” again. 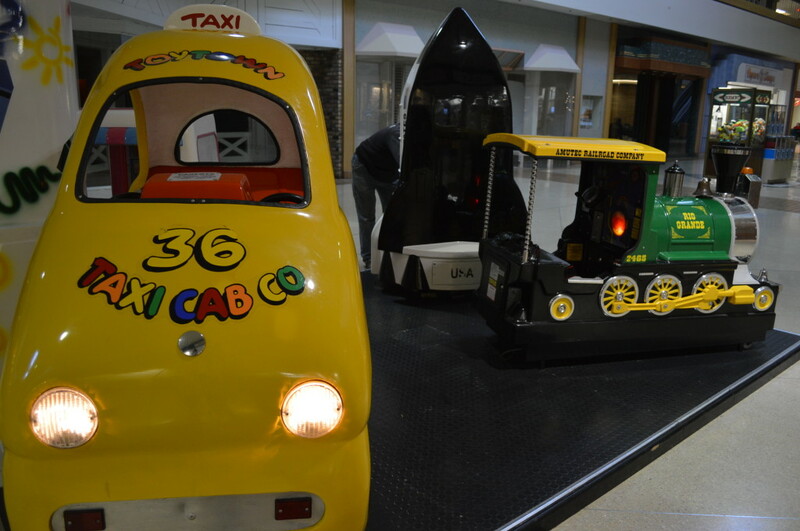 Now we need to drive to each store scattered within the “Mall” area. Every thing is scattered around the area. Just a wonderful place to Christmas Shop here in Iowa!!!! Give me back the Mall!